Last week much of America experienced a poor night’s sleep. This week, we are thinking about the importance of getting enough sleep every day, as we continue National Sleep Foundation’s #SleepAwarenessWeek2018 #YourDayBeginsWithSleep Join the National Sleep Foundation in celebrating its annual Sleep Awareness Week, March 11 to 17, 2018. 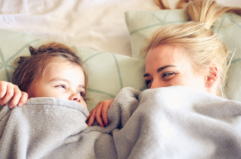 This year’s theme “Begin with Sleep” highlights the importance of good sleep health for individuals to best achieve their personal, family, and professional goals. 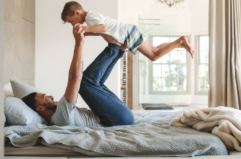 The week-long “Begin with Sleep” campaign will provide valuable information about the benefits of optimal sleep and how sleep affects health, well-being, and safety. Shareable messages including an infographic, pre-written content, and social media posts using the hashtag #YourDayBeginsWithSleep will be available here. Other tools available include the National Sleep Foundation’s Bedtime Calculator, which encourages individuals to plan their sleep.